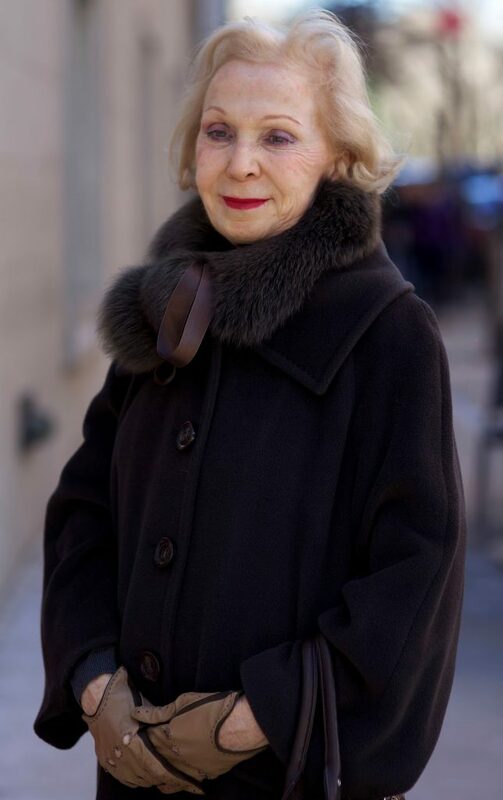 This stunning lady was walking across Madison Ave when I noticed her wonderful coat, gloves, lovely red lipstick. I asked if I could take her photo and she kindly replied in French that she didn’t speak English. My friend Fanny, a native French speaker, was with me and I asked if she would tell the woman that I thought she looked very beautiful and that I would like to take her photograph. Fanny asked and she replied that she had just received some very sad news and that my compliment had brightened her spirits and made her day. She posed for me on the corner of 65th and Madison, still a bit sad with a tinge of hope. Before she went on her way she gave Fanny and me a big hug and kiss on the cheek and told us that her day would be better now that she ran into us. It is she who truly made my day!